It’s a summer of shaking it up, a time to break old patterns, shift strategies, find new ways to nourish yourself, and become more resilient in your commitment to building the life you love. That’s what happens when you you’ve got three Eclipses, a Mars retrograde (that connects with revolutionary Uranus), the Jupiter/Neptune Trine, and more weaving themselves throughout the coming months. 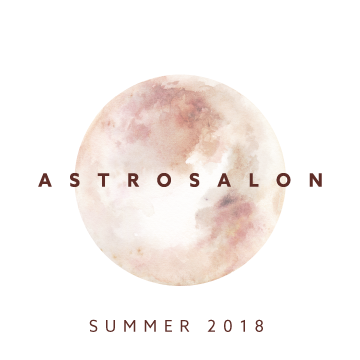 Whether you want a framework for personal goal setting, an informed context for business planning, or a peek into potential collective trends and themes, this AstroSalon will leave you feeling imbued with awareness and strategic know-how. Plus in honor of the shake-it-up theme, in addition to other wellness suggestions, I’m going to share with you ways you can turn to your dreams to help you navigate the opportunities for growth that this summer astrological landscape will be inspiring. Questions? : Don't hesitate to write me.